Staples is running a great daily deal on ink and toner today. 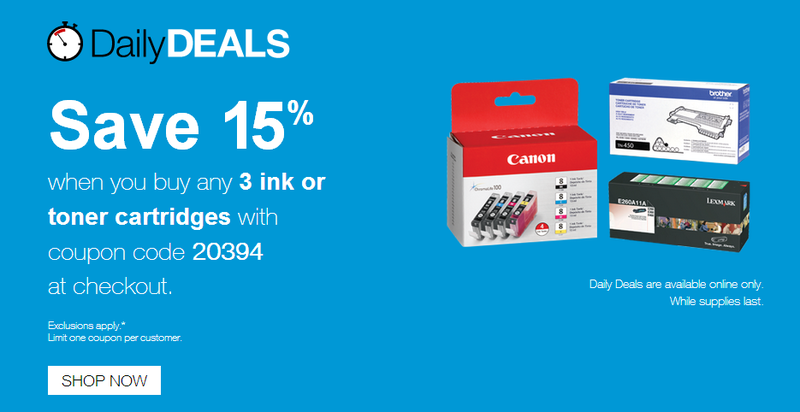 The promo is 15% off 3 ink or toner cartridges, however, when I applied the coupon it said 15% off ink and toner orders of $27 or more. 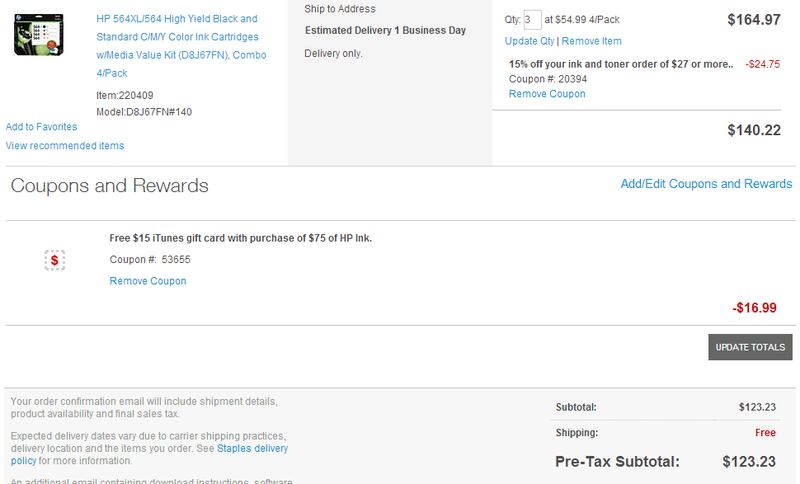 Staples is offering another promo on top of this where you can get a $15 iTunes gift card with the purchase of $75 or more of HP ink. I have no use for an iTunes gift card, so I tried adding the coupon without adding the iTunes card to my cart and it worked! I ended up getting 15% off my ink purchase, $16.99 off my purchase, 5X points with my Ink Bold, and 5% back in rewards. I like deals like that! 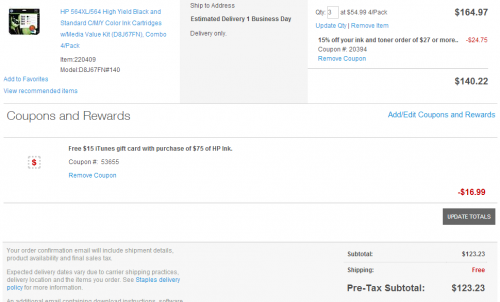 If you have the $15 off $100 Staples Amex Offer, this would be the perfect time to use it. Use code 20394 for the 15% off and 53655 for the iTunes offer. This is YMMV as always, because Staples could fix gift card not needing to be added at any time.